This task lamp is perfect to give your workstation an illuminating glow and interior a classic appearance. 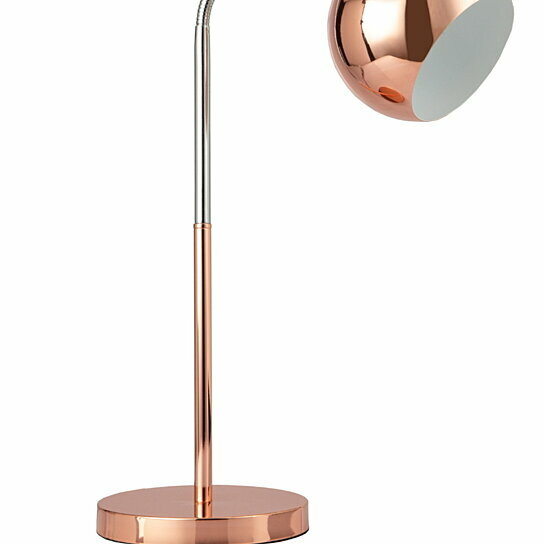 Made up of metal and featuring a copper finish, this slim base table lamp makes it the perfect size for any writing desk, side table, or night stand. With a goose neck design, this table lamp can be used in any way to give the light at desired place. A subtle light is perfect for bedtime reading and other tasks. This table lamp will blend easily with any space from modern to contemporary look. No assembly required.